Patients all over the world seek out Smile Stylists for consultations regarding improving their smiles. 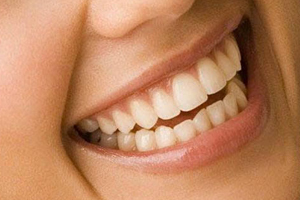 Since there is no specialty in cosmetic dentistry, looking for a cosmetic dentist is a challenge for most patients. Which dentist who advertises cosmetic dentistry can you trust with one of your most prized possessions? A Smile Stylist has experience, a winning personality and uses the best laboratory technicians in the world. Sitting down for a consultation with a Smile Stylist will give you the opportunity to discuss your goals for your smile. Smile Stylists listen to your history with your smile and will ask important questions to understand how your smile has affected your life. The consultation will involve getting pictures of your smile and looking at them together with the Smile Stylist to determine options to improve the teeth. The goal is always to perform treatments that are the most long lasting, conservative, and present with the least amount of compromises to the final results looking natural. Any decisions that are made that conflict with these criteria will be properly communicated to you. Since most general dentists do not perform these types of treatments on a regular basis, like a Smile Stylist, an in office consultation will be very informative and well worth your time. Want a motivational mock-up with your consultation? We do that! A motivational mock-up is a chance to see your new smile in real life before committing to the actual process. At your consultation, pictures, videos and impressions are taken that will allow our specialized technicians to create a model of your new smile. At a follow up appointment, the Smile Stylist will be able to quickly and painlessly create a temporary new smile for you that will look very much like your final results.